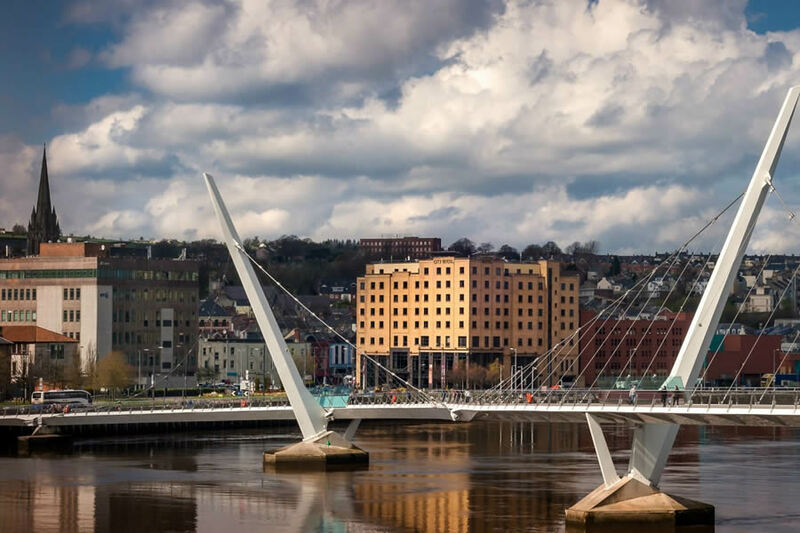 Of all the Derry hotels, the City Hotel Derry enjoys one of the most idyllic locations; perched on the banks of the River Foyle within 5 minutes walking distance of the historic Derry Walls. Please note that you will need pay the Euro amount to the Hotel in Sterling at check out. We stayed at the City Hotel in Derry on the 11th of December. Staff were welcoming and the rooms were spacious and clean and tidy. We were disappointed with the cleanliness of the changing areas in the leisure suite, especially the toilets and showers which did not seem to have been cleaned in the past couple of days. When booking dinner we were told that the earliest we could be seated was 8:30pm even though the restauarant was pretty empty from 6:30, I assume this was to do with staffing, and when we were seated service was a bit slow. Breakfast was also disappointing, with a limited range on offer. Overall though as a place to stay in a comfortable room it was nice. Had a fantastic stay in city hotel Derry. The staff were all so friendly and extremely accommodating. Our room was lovely, clean and warm and we had a beautiful view of the bridge. Will definitely be returning in the near future. great hotel...centrally located...friendly helpful staff.... beautiful food....entertainment was fantastic!! only downside was the q for breakfast...but was worth the wait!! definitely recommend and will return!! Thoroughly enjoyed our two night stay in the City Hotel. Great central location to all the main attractions. Rooms lovely food great staff most helpful. Will be back . Hotel highly recommended. 5 star rating SM. Great , central location - main attractions were just a short walk away. Very helpful staff. We were upgraded to a lovely room on sixth floor with a view of the River Foyle and Peace Bridge. Rooms were clean and comfortable. There is a lively bar and lobby area on ground floor. Free parking and wifi. Great menu deal for two in the restaurant - Two's Company - 35 pounds for two including a bottle of wine. Food including breakfast was very tasty. Carpets and net curtains in lobby should be refreshed or replaced, otherwise the hotel was pefect. Highly recommended. Thoroughly enjoyed our two night stay at the City Hotel. Room was spacious, modern, clean and had excellent views of the Foyle and the city. Staff were friendly and efficient and the hotel was spotless throughout. Breakfast was your normal fayre but, except for overcooked bacon it was very satisfactory. Whilst most of the staff seemed very young this did not diminish their attitude to serving customer needs, all done with smiles on their faces. If I come to Derry again the City Hotel will be my number one choice hotel. Well done! We were up for the Walled City Marathon so the hotel location couldn't have been better. Staff were extremely friendly and the cuisine was excellent. We will definitely be back. Paul & Catherine, Tipperary. we had a fantastic stay in this beautiful city hotel with magnificent views ,food was great music in the bar was great overall a fab place to stay while visiting this amazing city. Absolutely excellent, very helpful staff, nice food, good clean hotel. This was my second time staying at the hotel. Once again the hotel was great. Loved the food and entertainment was brilliant. The staff couldn't do enough for you. Very helpful. The only negative I found was the room was a little run down. The lightening was poor in both the room and bathroom. The bathroom could do with a little tidy up. Other than that We will be back very soon and I have booked rooms for my daughters birthday very soon. Hi I booked the hotel break for my mum's birthday, she & her friend enjoyed a nights DB&B they thoroughly enjoyed it. The staff were more than helpful & friendly the food was excellent compliments to the chefs they thought the hotel was just lovely . Overall they had a great time & will definitely return. We had a three night break between Christmas and New Year 2015 and thoroughly enjoyed our stay. Although the Hotel was very busy as you might expect at this time of year, the staff were very welcoming and nothing was too much trouble. The room was clean and comfortable and the food was excellent. 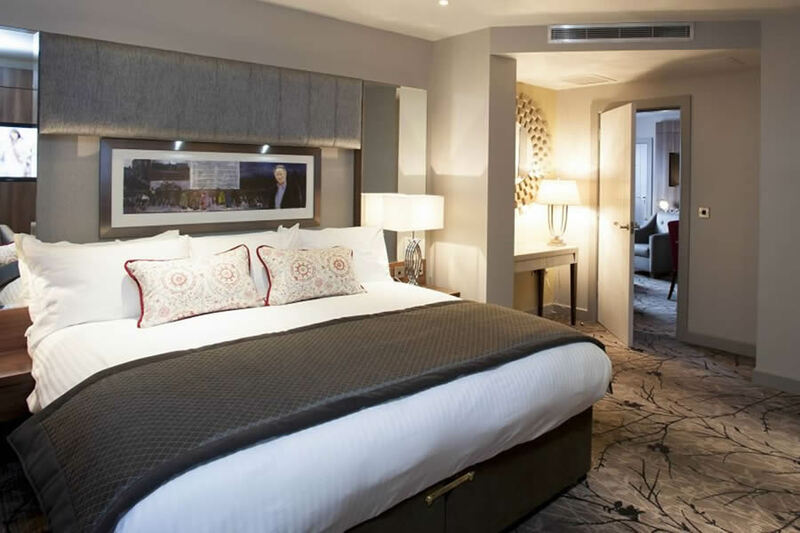 The situation of the Hotel is fantastic, the city centre with its shops, restaurants and the Peace Bridge are all within very easy walking distance from the Hotel. There is an Omniplex cinema just around this corner and the hotel's own leisure club are great places to visit if the weather is inclement. The famous Walls are definitely worth visiting along with other historical areas \ buildings. Great hotel in a very central location. Very spacious room loads of room for our family of 4. Very friendly & helpful staff. Great food in the restaurant with a large selection on the menu to choose from. Excellent value for money. Will definitely stay again. Great hotel, fantastic staff and great food. We really enjoyed our stay in the City Hotel. We'll be back! beautiful hotel with great food. I have stayed in this hotel 8 times now. The breakfast are excellent , evening meal menu has now been changed & very good. The hotel has live entertainment on fri & sat night which is usually enjoyable. The staff are very friendly. Rooms are clean & comfortable. Easy walking into city centre. First class...looking forward to our next stay! Had a wonderful stay in the city hotel. Room beautiful and a lovely two course meal. Staff couldn't do enough for us and can't wait until we return again. The worse thing was that we should have booked two nights. Hotel central to everything. Good afternoon, On arrival at the hotel we were greeted by a lovely receptionist who decided to change our room overlooking the river foyle which we were delighted with. I had requested on my booking form if possible to be given a room in quiet part of hotel. thatevening we had gone to bed early but to be woken up with around 10.30 or so to very loud music coming from underneath our room. I phoned down to night duty officer who came immediately to our room and was very courteous and agreed with us that music very loud. He explained that wedding reception going on 2nd floor (we were on fourth). The music would end at 1am. In fairness he gave us the option of moving to a quieter room but we were so tired we declined . He offered late checkout till 3pm the following day also. He also said he would pass on our complaint to the day duty Manager which he did and once again she did offer late check out but we were that tired I just wanted to go home as I was hoping to sleep on the 4 hour bus journey back. We do regret not going for 2 nights as journey so long. I just feel knowing that they had a wedding on we should have never been put in a room where we could hear music. In saying that the staff were still extremely nice to us. Fantastic Week great value for money. We stayed for two nights,b+b one evening meal,for my sister's 70th birthday, the hotel is in a great location for sightseeing, the staff are lovely and the food is excellent, we,ll definitely be back. Eileen Herdman glengormley. Very enjoyable stay, lovely friendly staff throughout the hotel. Excellent food, brilliant view from our room. Will definitely be back and will request the same room. Hotel was great .. stayed for three nits with family of 3 boys . Staff were v friendly . Food was really good . Didnt tate the entertainment in lounge but thats a personal taste ... everyone else seemed to love it . The only draw back is the small car park .. only 40 spaces and these are v cramped . 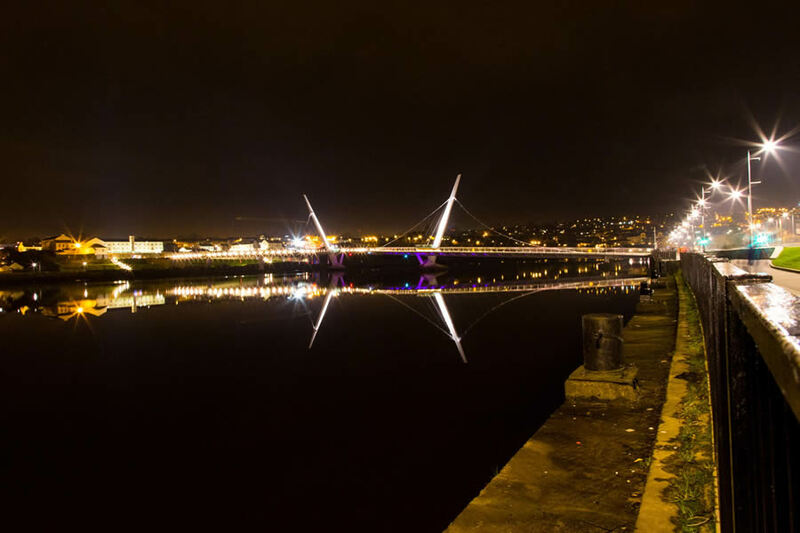 October 2014 enjoyed our stay at city hotel derry, comfortable hotel, friendly staff and good food best of all beautiful location peace bridge and river foyle right across from it. Got a great rate, so can't complain too much. Great central location, staff pretty friendly. However, room was stuffy as anything and only had an electric fan to cool down. Wasn't bothered with view, thankfully, but no air could get into that particular room to cool down. No water supplied to guests on arrival or daily - My opinion is water should be complimentary in a 4-star hotel? Parked first night in the hotel - Fine/Free - Happy days. Second night had to park in the nearby parking lot and had to pay GBP9.60 on departure at noon the next day. Was never informed of the rates in the car park next door. Food/Breakfast was decent, but not sure if the hotels aesthetics are up to it's 4-star merit. OK, maybe I did complain a bit. Good time there. Service 100%. Many thanks to the staff. Great hotel, central location next to the river foyle, rooms large and clean, staff very helpful and wonderful food in Thompson's restaurant. Super Hotel, super staff,super 'Ulster fry', super sited,appreciated car park.----All in a super city. Had a great stay here, room had a fantastic view over the river. Breakfast was excellent and the we ate in the hotel restaurant at night which was extremely good value for the A la Carte menu. Would stay here again and hopefully will do in the near future. We enjoyed our two day break in the City Hotel. The location is excellent - near the shops, bars and restaurants and a good spot to start out on many of the city walks. The staff were helpful and friendly. I would say that it is good value for money. By far one of the best short breaks we have had to date! My husband and I, along with our three year old daughter, arrived for a three day break and were sorry that we couldn't stay on longer. The staff were excellent, our room was huge and had a fantastic view of the Peace Bridge and the leisure facility was excellent. The breakfast was delicious as was the evening meals we had in the restaurant. I rate it five stars. Derry is truly a remarkable city. I recommend that everyone visit this historical city. The people are lovely, the history is incredible and tragic and has truly left a impression in my mind forever. I cannot wait to go back again.